Wales is a well-known location for holidaymakers. Thanks to the famous Cardiff Castle, the Brecon Beacons and the North Wales Coast, Wales has become a popular holiday destination. 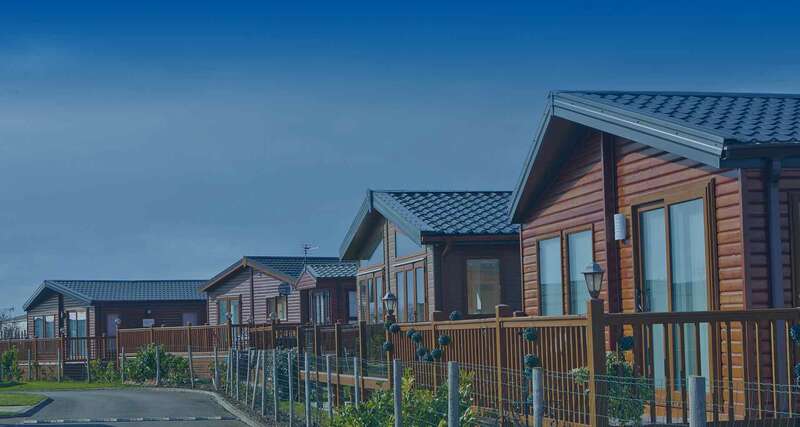 With holiday lodges in North Wales that appeal to over 50s and teenagers alike, you’re sure to find something here at Whitehouse Leisure Park. All of the holiday lodges we offer are situated in Towyn, close to the beautiful North Wales Coast. It’s a prime holiday destination and you’re always within short reach of the best attractions in the region. Staying in holiday lodges in Wales doesn’t get any better than this! We have a huge selection of lodges for sale that will suit any budget and needs. We have luxury lodges that are designed for maximum comfort, but we also have lower-end models which are affordable and excellent starter lodges. Our prices range from just £10,000 all the way to £125,000. Although it might seem expensive, our luxury lodges are actually fantastic value for money. Our high-end models have multiple bedrooms and can easily fit up to eight people, making it great for family holidays. They also have their own en-suite bathrooms, and some luxury models even come with decking and private parking. The holiday lodges in North Wales that we offer are stunning. They look modern both inside and out and come with large sliding patio doors that give you a breath-taking view of the North Coast. We even stock recent 2018 models to ensure that you get all the comforts of modern living while on holiday. Even our lower-end models are beautiful and excellent value for money, with some even having multiple bedrooms. No matter what your budget is, there’s a beautiful holiday lodge waiting for you in North Wales. However, you might be wondering what other benefits you’ll get for purchasing one of these properties when there are options like hotels available. Unlimited holiday time in your holiday lodge in North Wales, no need to book and no need to plan in advance for the best savings because you own the accommodation! Maximum comfort with a place that feels like home. Extraordinary views without paying an expensive premium. Fun activities all year round. Earn extra money on the side by renting your holiday lodge out. Holiday lodges in North Wales are incredibly popular for many different reasons, but this list is just a small sample of the benefits you can expect when you invest in one. Staying at Your Holiday Lodge in Wales This Month? If you’re planning on staying at a holiday lodge in North Wales this month, then you might be wondering what activities are available. There’s always a whole host of events going on including daily and weekly activities that are suitable for both you and your kids. Just take a look at our online activity booking system for more information on what’s available and how you can sign up. However, if you’re not using your holiday lodge, then it’s perfectly fine to advertise your holiday home in North Wales and rent it out using portals like Rent My caravan. If you have wonderful memories of family holidays in North Wales with your kids, then why not invest in a holiday lodge today so you can relive those memories now that your kids are growing up? Whether they’re now grown adults with their own families or still teenagers, a holiday lodge in North Wales is a fantastic long-term investment. All of our holiday lodges are available in the Whitehouse Leisure Park which is situated in Towyn on the gorgeous North Wales Coast. We’re in a prime location, so you’re never more than a short drive away from the region’s top attractions. From Snowdonia to the sea, and everything in between, we’re slap bang in the middle of all the action. As well as this, we also have a whole host of activities and entertainment on offer in the holiday park itself. There’s fun for the whole family when you get your own holiday lodge in North Wales. There’s such a diverse array of lodges for sale that are geared towards different people. At the very top end of the spectrum, we have plenty of brilliant luxury lodges that are our pride and joy. These lodges are absolutely stunning and provide you with all the home comforts you need on your holiday. To give you an idea of the different scale of properties we have, our cheapest lodge comes in at under £10,000 while our most expensive is £125,000. Our most luxury lodges are still great value for money even if they seem expensive at first. The top of the range models have two bedrooms minimum and can easily sleep up to eight people. This means the whole family can come along on holiday, and maybe even a couple of your children’s friends too! What’s more, they all have their own bathrooms, and some of the most luxurious models even come with decking and private parking. Visually speaking, these luxury Lodges in North Wales are stunning. They’re very modern when it comes to both the exterior and interior design. Many come with big sliding patio doors that give you lovely panoramic views of the North coast. In fact, we even have a few models that are brand new in 2018, ensuring all our holiday homeowners get to enjoy the comforts of contemporary living while away from their normal house. Of course, our cheaper models are a little less luxurious, but they’re still overwhelmingly beautiful and represent great value for money. They come in multiple bedroom models with enough sleeping room for a good eight or so people. Regardless of your budget, there’s a holiday lodge out there for you in North Wales. At this point you might be wondering; why should I invest in one of these properties? Many people simply book a hotel/B&B or maybe even camp when they go on holiday here. So, what do you get out of actually owning a holiday home? The beauty of Holiday Lodges in North Wales is that you don’t have to worry about bookings or anything like that. There’s never going to be a moment when all the rooms are reserved in a hotel, or a campsite isn’t open. The lodge is yours, so you can come and go as you please. What’s more, aside from paying for the actual lodge plus the park fees, there are no extra costs. This means you and your family can go on holiday as often as you want, possibly even during every school holiday! When you travel with young children, it can be hard to get them to feel comfortable in a hotel or tent. But, with a holiday lodge, you’ve got a place to call home. There are all the home comforts, and they can bring all their toys along too. It makes them feel like they’re at home rather than in some foreign place. So, they’re happier, meaning your holiday ends up containing far fewer tantrums. Another great thing about holiday lodges is that you can see some truly breath-taking views. There are plenty of lodges for sale by the sea that will give you a glimpse across the ocean and a front row seat of the coastline. You can’t get that when you camp in a tent, and all the hotels with sea view rooms will be sold out fast. Our lodges are all situated in the leisure park with loads of people owning their own lodges. This means you have the opportunity to meet new families, make lifelong friends, and get involved in loads of fun activities. There are games for kids to play, and fun themed quiz nights and shows to take part in too. Essentially, you get the full holiday package with a holiday lodge. For the months of the year where you’re not using it, you can always rent your property out to other people. This means you can make a little bit of money on the side! Speaking of money, we even offer finance options to make the payment of the lodge more manageable for you. Did you know that holiday lodges in North Wales also appeal to the over 50s crowd? People often think that getting a holiday lodge is something that younger people do, but it’s simply not true! Here are a couple of reasons why a holiday lodge is perfect for your later years as well. Holiday lodges in North Wales are spacious and luxurious, often located in plots with plenty of space to make a garden. It’s got something for everyone and you’ll be surprised at just how comfortable they are. Most holiday parks are also located near or within easy reach of beaches. This is fantastic if you love a traditional beachside holiday, leisure parks, fairground rides and more. There’s great traditional food on these beaches and you’ll find plenty of time to relax and melt your worries away. Entertainment is also everywhere. There are bingo nights, karaoke, cabarets, dinner dances, quiz nights and much more to do. It’s not just all about high-adrenaline activities–there are lots of things to do even when you’re over 50! Holiday lodges in North Wales are also very flexible. You could have a 12-month holiday license and use it for a long period of time and you can also rent it out to your kids, your grandkids, or even other people. It’s also cheap and easy to get to North Wales no matter where you are in the UK. If you don’t want to drive, then there are plenty of trains that lead to North Wales. Why spend an entire day or more travelling to a far-away destination like Spain or France when you could get to your holiday lodge in North Wales and be ready to enjoy your time off straight away. Holiday lodges are also the closest thing to a home away from home. There’s free-standing furniture, spacious kitchens, large bedrooms and large, comfortable beds for you to relax in. Don’t think of it just as a holiday lodge–they’re often more comfortable and sophisticated than cottages or even small houses! There’s plenty of reason for people over 50 to purchase a static caravan or a holiday lodge in North Wales. Holiday parks offer so many facilities that it’s actually common to spend your entire holiday inside the holiday park thanks to all the facilities and entertainment. North Wales has something fun for everyone, hence why it’s such a popular tourist destination for people both in and outside of the UK. With breathtaking mountain and sea views, plenty of fun activities and interesting wildlife parks to visit, there’s always something to keep you occupied. Whether you’re the adventurous type or someone that just wants to relax, there’s always something interesting on the horizon. Why not book a holiday or a short break now and take a look at the holiday lodges on offer at Whitehouse Leisure Park in North Wales? If you like it a lot, you can always invest in one of our lodges too–you won’t be disappointed!